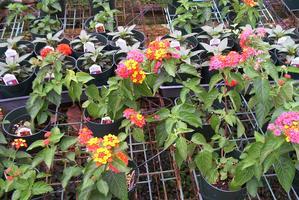 Description: Lantana is an ideal landscape plant. Its colorful flowers attract butterflies. Some varieties make great ground cover. Their multi-colored clusters of flowers really accent a garden and they continue to bloom throughout the year.